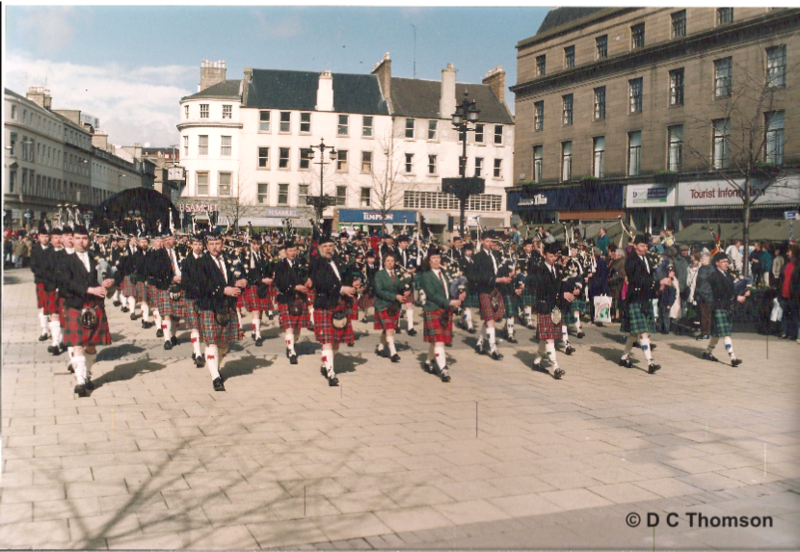 playing in City Square, Dundee. 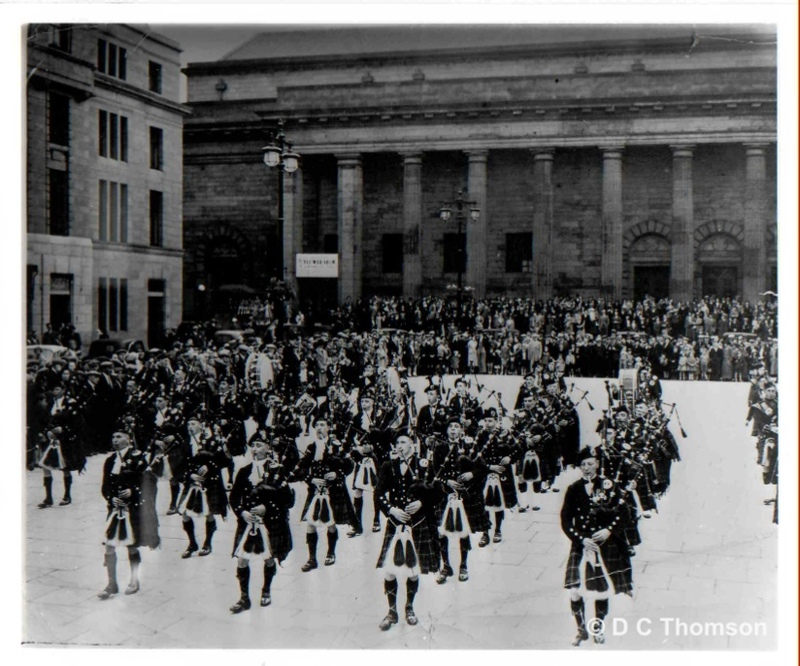 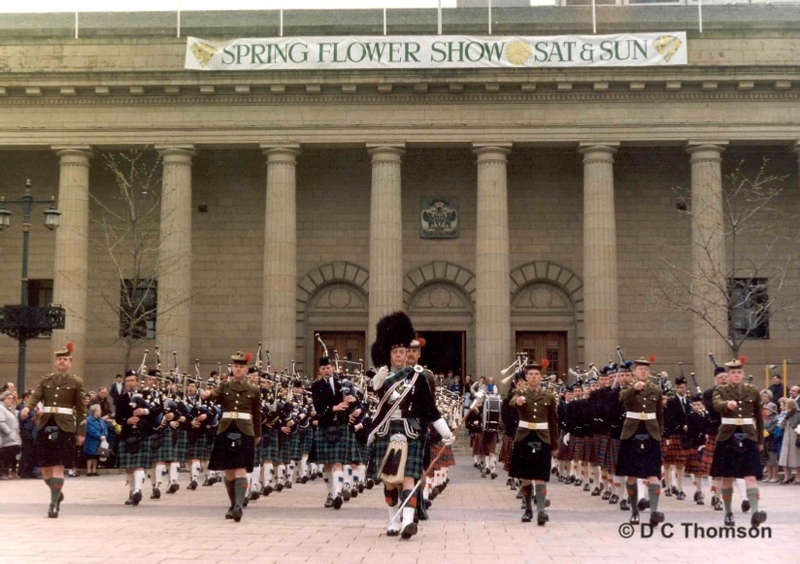 Without the aid of colour photography, it is extremely hard to name the bands in this photo, but I lay odds that the ranks on the left could be the City of Dundee Prize Pipe Band, and the ones with the collars a ties could well be the Mackenzie Pipe Band. 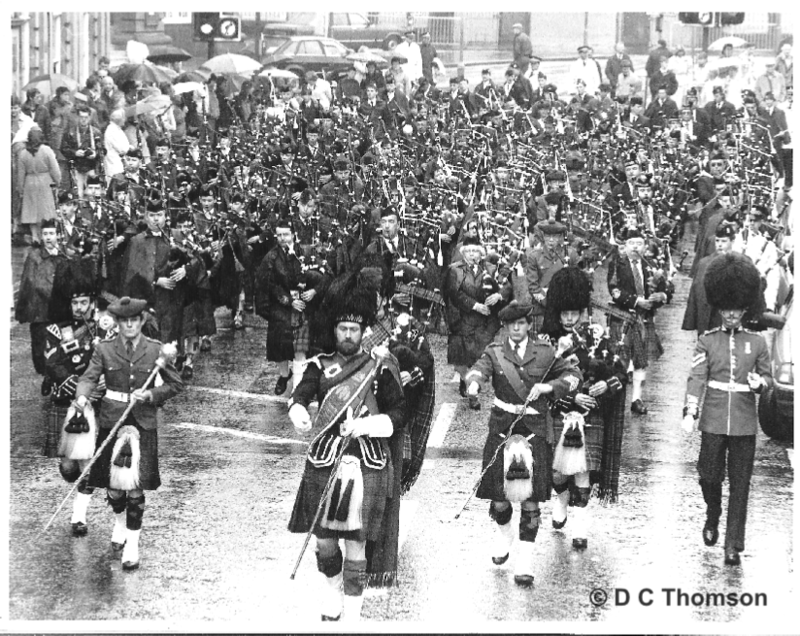 (From Left)Three ranks of The Mackenzie Caledonian Pipe Band, led by acting Pipe Major Arthur Balfour, and their Juvenile Pipe Band, hidden by the Drum Major are The Maclean Ladies Pipe Band with Pipe Major Rita Stewart, then the Auchterhouse Juveniles, Fintry Pipe Band led by Pipe Major Richard Smith, and then 6th/8th Coy. 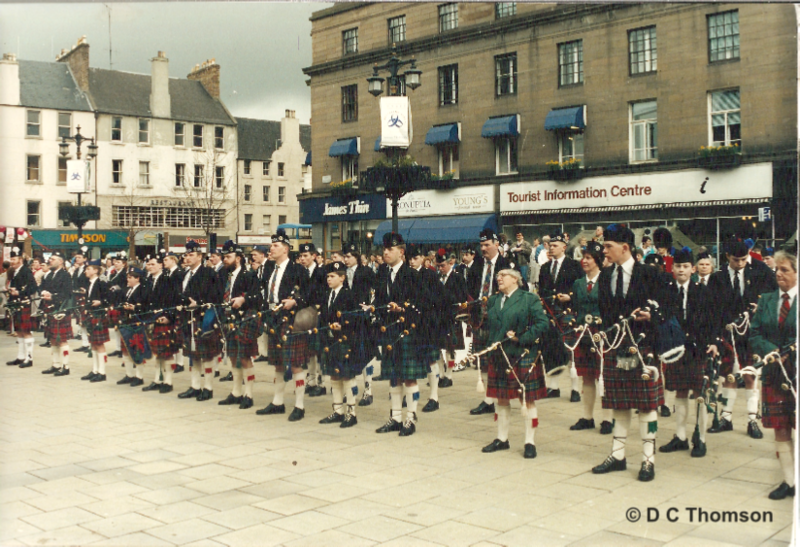 Boys Brigade Lochee led by Pipe Major David Marr.